Well, it’s official. At least to me it is. I have completed my second book and I have sent the manuscript to my publisher to have a go at it. My publicist, Mr. Mark Eddy, who also happens to have a degree in English Literature has done the bulk of the editing for which I am eternally grateful. The title of the book is, “A New World If You Can Take It,” and it is a quotation from an Star Visitor to a military man when asked by the soldier what the visitor had to offer the inhabitants of planet earth. The reply has stuck with me all these many months when I had heard the story told by the military officer. The now deceased officer’s name was Colonel Phillip Corso. Colonel Corso is the author of the book, The Day After Roswell. Perhaps you have heard of it. If not, I commend it to you highly. 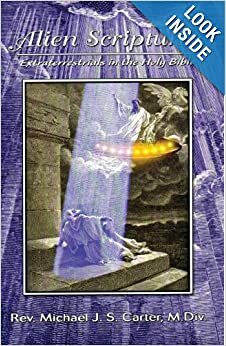 My second book attempts to take humankind to the next steps in coming to grips with the the fact that the so called “God” of the bible is an Extraterrestrial being and not the Supreme Being or First Cause that we have been raised to believe in. Does this mean there is no energy or intelligence in the cosmos? I argue no. A new paradigm is in order and what we know about how the cosmos is ordered must be seriously reconsidered. Change is difficult but necessary. Humanity’s childhood phase is over. A New World is indeed being born—If we can take it!!! I have not get up with writing on this page much as life has been full and I have also been lazy. When the book is ready for release I will no doubt let it be know on this blog site. I am looking forward to the response. As we enter the month of September, we know that Autumn is not far behind. Its my favorite time of year. I hope you all have had a wonderful summer, with time for rest and rejuvenation. I thank you all for your support with my first book and I hope you find the second book just as intriguing and satisfying.